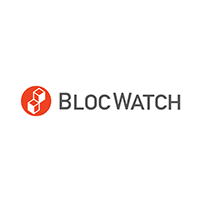 BlocWatch’s BlocMonitor and BlocTrust software provides the comprehensive insight and tools essential for enterprise quality public and private blockchain monitoring and management. Our BlocMonitor service automatically filters, sorts, and channels the torrents of data streaming toward you, allowing you to maintain visibility, monitor chain health, identify suspicious actors, alert on significant activity, and much more. Our BlocTrust service provides independent third party validation and attestation to provide customer assurance and ensure compliance satisfaction. Together, BlocMonitor and BlocTrust provide a complete solution for enterprise blockchain enablement.